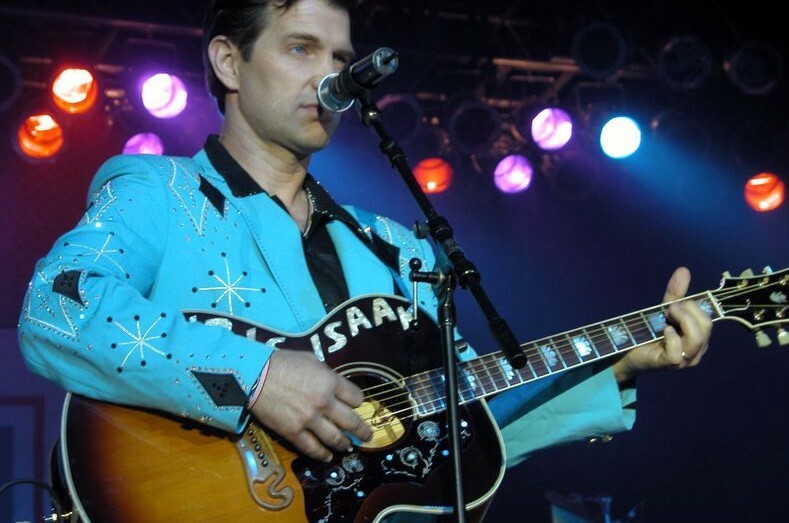 If I had to be a musician/rock star type, I could very well choose to be Chris Isaak. He’s a low key rocker, but he most assuredly rocks. He’s handsome, but not too handsome. He’s not afraid of getting dressed up for the show. Even Mick Jagger at his most fashionably outlandish never wore a suit of mirrors. And Isaak’s funny. He understands it’s a show and he puts on a heck of a one. His lead guitarist is named Hershel Yatovitz. I said his name is Hershel Yatovitz. I’d seen Chris in NYC before. A few times I believe. But now he was coming to my home state and its common knowledge in ‘the business’ that entertainers save their best for NJ. It’s just common knowledge. There was this girl that I knew from around the way and I took a chance and asked her if she wanted to be my +1 for the show. She readily agreed. 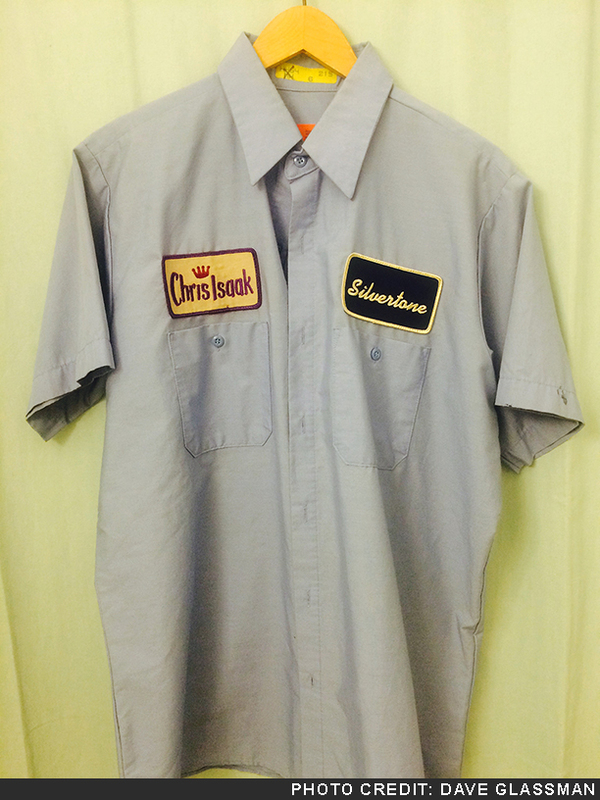 Because chicks can’t say no to Chris Isaak. Which shocked and delighted me in equal measures. But my delight was to be short lived as I received a call just a few days later from said girl and the said girl was saying that though she wanted to, she couldn’t. She couldn’t because her girlfriend wouldn’t let her. Her girlfriend that was her girlfriend. Not wanting to enter into some potential crazed lesbian relationship situation of which I didn’t know previously, I accepted her date resignation. So I asked another girl from around the way and she agreed. Because chicks can’t say no to Chris Isaak. Driving up Rt. 18 from the Shore to New Brunswick. Park and find our seats. Good seats. Although, not really a bad seat in the house. It’s that kind of a house. Chris rocks and he rolls with so much soul. He’ll probably rock till he’s 100 years old. He announces post encores that he’ll be signing autographs and selling cd’s in the lobby. The other girl from around the way and I make our way towards the exit, but she stops in to use facilities. I await in a far corner of the lobby. Out of a door in my corner of the lobby enters Chris Isaak. Sweaty with a towel around his neck. Still wearing his mirrored pants. He sees me looking at him and asks if I enjoyed the show. I tell him I really enjoyed the show and that he puts on one of the best shows out there. He asks me if his show is the best show I’ve ever seen. I’m not sure if he’s kidding or not. Probably both. I tell him that while it’s certainly one of the best shows I’ve seen, maybe not the best show I’ve seen. He wants to know who’s better. I like his fake/not fake aggressiveness. I tell him that maybe a Springsteen or Dylan show might have been better. He mulls that over and states that he’s ok with being #3 behind those guys. He asks me if I’d like an autograph. I tell him I’m not an autograph man…but…I really dug his shirt. This shirt. He tells me that someone in his wardrobe made these shirts up for the band. He takes it off and hands it to me. Soaked with Isaak rock and roll sweat. I thank him and say I’ll wear it proudly. Years later I’d see Isaak somewhat regularly at my local movie theater in SF. And I’d notice his drummer, Kenny Dale Johnson shopping for food at Mollie Stone’s in Larkspur, CA. Just regular rock and rollers watching movies and eating food.